We Finally Get Better Credit Cards - Can I Retire Yet? What would you do for an extra $500/year? I’ve written about how much I value my time and often choose financial simplicity over saving a few bucks here and there. For that reason, we’d been using the same 1% cash rewards USAA credit cards for many years. 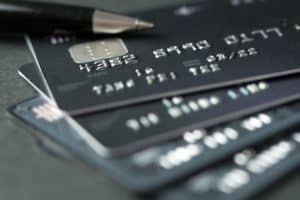 But, given the recent economic stutter, and my role as a blogger who needs to stay informed about the latest in personal finance, I finally took the plunge late last year into higher-rewards credit cards. I had long known that other companies and other types of accounts would offer us better kickbacks. But I had resisted because of my general distaste for financial paperwork, and because a booming economy let me overlook small sums of money. However, we can easily put $5K or more in expenses monthly on our credit cards. (Paid off without interest, always.) Virtually every major expense of ours, other than rent, appears on our credit card statements. So, if we could increase our reward by just 1%, that would represent an extra $600 or more annually in our pockets. I decided I was finally willing to sacrifice some of my time to achieve that payback. Here’s what I learned in the process…. First was Amazon’s Prime Rewards VISA Signature Card offering 5% back on Amazon/Whole Foods purchases, 2% on dining, gas, and drugstores, and 1% on everything else. Wow, 5% on Amazon could be huge. We do many thousands of dollars of business with Amazon and Whole Foods every year. If memory serves me correctly, when Amazon first introduced their credit card, there was a fairly modest cap on the points that could be earned monthly. But now, reading the fine print, I saw no limit. Then there was USAA’s Preferred Cash Rewards VISA Signature card offering 1.5% back on all purchases. (Note: This card appears to have just been replaced by a new offering that pays 2X points on dining and gas, and just 1X on everything else.) We have been banking with USAA for many years. At the cost of a credit application, we could get an additional 0.5% back on many of our purchases. Because of my aforementioned inclination to financial simplicity, I had a strong preference for staying with our existing financial institutions. If I could simply get another, better, card through USAA, without too many paperwork headaches, it would keep my life simpler, because we already had checking and several other accounts there. But, just to be safe and do a thorough evaluation, I went on Bankrate.com and reviewed their credit card comparisons. Among the dizzying options there, I saw two basic divisions: Some cards rotate their rewards categories randomly every quarter or so. (Keeping track of this seems needlessly complex and error prone to me.) Other cards offer a flat percentage back on all categories. At the time I was evaluating, a few months ago, the leading card was offering 2% cash back on everything. It would be nice to get an additional 0.5% over USAA, but was it worth the paperwork hassle of dealing with another institution? And what about travel miles? Couldn’t that change the equation? Might there be a better credit card deal if you’re interested in optimizing for travel…. Probably. But I’m going to make a rare excuse: I normally make every effort to research options and present all the factors for readers. But when it comes to travel miles and especially travel hacking, I just can’t get interested. “Travel hacking” is the process of opening, using, and closing multiple credit card accounts for the sole purpose of accumulating travel miles. It’s a legal, profitable, and popular activity, especially in the personal finance space. But, honestly, travel hacking is a great example (along with certain tax maneuvers) of the kind of complicated financial gaming that I prefer to avoid. The last thing I want to introduce into my financial life is more transactions, more email, more statements, more deadlines. But other smart and considerate people see it differently. My blogging partner Chris reviewed Brad’s course (from Choose FI) a few years ago. Chris highly recommends this course for anyone interested in travel hacking. He himself still dabbles with the effort, generally getting 2-3 new cards/year on average and getting good value from that simple approach. As for me, I can happily go years without getting on an airplane. I don’t want the extra paperwork. And I do want the flexibility of cash rewards. So I could go with a new bank and get 2% cash back on everything. Or I could stick with Amazon and USAA and together get 5% back on Amazon/Whole Foods, 2% on gas/dining/drugstores, and 1.5% on everything else (via the USAA card). My average kickback would probably be more than 2% by sticking with my existing institutions. That was good enough for me. There is huge value, and measurable time savings, in dealing with companies where we already have accounts. I know their web sites, I know their products, and I’ve already got related communications configured the way I want. The Amazon Prime Rewards VISA Signature Card is noteworthy, especially if you would benefit from the other perks of Prime membership (like free shipping). At a membership cost of $119 annually, and assuming you’re getting 4% more cash back than with another card, you need to make only about $3,000 in purchases annually to get your membership fee back. Ordering many of our household supplies from Amazon, we easily reach that number in a few months. One reason I had long been dreading and putting off new credit cards was the chore of unfreezing our credit reports, so the applications wouldn’t be blocked. I originally froze our credit reports years ago, when the option first became available, and there have been many changes to the credit reporting agency systems since. When I tried unfreezing about 5 years ago for our rental approval, one of the agency web sites didn’t recognize my credentials. That would potentially take me weeks to correct via postal mail. This time it all went smoothly though, and I managed to unfreeze all three of our reports (Equifax, Experian, and TransUnion) in less than an hour online. It was a bit disconcerting, as always, to be asked for my “income.” That’s a loaded word for early retirees living off assets. Our financial picture doesn’t look like the average wage earner’s. For starters, income is highly variable and more under my control, depending on our tax picture and how I’ve harvested assets for living expenses in a given year. Some years it’s low, and some years it’s high. Fortunately this past year was a high one, so I chose that number and the application proceeded smoothly. Within less than half an hour, I had two new credit cards approved and on the way. Amazon even automatically linked my new card as the primary for my online account, and was ready to take orders on it! A drum I beat repeatedly here on the blog is the value of financial simplicity, to me, at least. Getting new credit cards is a perfect example. Most people probably would consider that a trivial, low-cost exercise. Fill out a simple online application and you’re done. But, taken end-to-end, it’s anything but a quick process in my experience. My first job when getting a new credit card or number is transferring all our existing automatic payments to the new account. We have long since set up every one of our bills for automatic payment, preferably on a credit card account to get rewards. But that means substantial work whenever a number changes. Between us, my wife and I have more than a dozen automatic payments every month. Changing those means logging onto each vendor’s web site, then entering and verifying the new payment information. Time required: 1-2 hours. Next I needed to set up automatic payment for the credit card bills themselves, from our checking account. This was simple enough though, in the case of the Amazon card, it required registering a new account at Chase.com, because it’s Chase Bank that administers the Amazon card. Chase has an attractive and generally intuitive site, but it was still something new to learn. And as I scrolled past all their other banking and investment offerings, I wondered, “How long will it be before they start pitching me on these other products?” Time required: 30 minutes. Next we needed to add multiple users to our cards. Why? When managing the estate process for our parents, we learned the importance of joint accounts. If you aren’t joint on your spouse’s credit card and they pass away, once the bank receives notice of the death, they will block access to the account until the estate is settled. This can be a huge hassle and even financially dangerous, if critical bills are being paid from that account. Hence, my wife and I are joint on each other’s credit card accounts, even though, to keep expenses organized, we only make charges on our primary cards. Having the authority to charge on an account is not the same as having access to view transactions and statements. I need that authority in order to reconcile our accounts each month. But adding it was a separate task, requiring a call to the bank for help. And that didn’t work on the first try, so follow-up was required. Total time for issues related to joint accounts: 1 hour. Now come the new statements to access, decipher, and reconcile. The USAA statements are familiar terrain, but the Chase statements are all new. And don’t forget setting up email notifications related to statements and payments. Total time: 30 minutes. Ironically my wife’s credit card number was stolen while she was traveling in the middle of this process. Fortunately she was already carrying her new card, so she wasn’t stranded without the ability to pay for expenses. But it meant we had yet another credit card showing up, for the old account, which would now need to be cancelled. Finally, and still unfolding, is the process of claiming our rewards points. Amazon seems to make it easy. There is a choice on our payment screen every time we order at Amazon.com to apply some or all of our current rewards balance. USAA also shows our rewards balance in our main Accounts list. But there is an outstanding mystery as to why my wife’s and my rewards balances are different. If this is a banking snafu, it will require even more time to untangle. Total time: 1+ hours? In the end, we are happy to have multiple, higher-rewards cards in our pockets now. They give us more flexibility and should save us money in the long run. But, as my detailed discussion above shows, it will likely be a year or two before we recoup the time costs of making the transition. I’m just hoping that “better” credit cards don’t appear on the market in the interim! I just converted my Citibank Dividend card to their Double Cash card. They pay 1% on initial purchases, and then 1% when paid. On everything. Hard to beat the double cash card. Been using it for years. Then Amex blue gives 3 or 6 % on groceries. It sure doesn’t take me more than an hour to get set up with a new card, maybe because I use them selectively. Your reasons for avoiding travel hacking are exactly why I’m on the fence about it. I don’t mind flying too much, but want to avoid the emails/deadlines/statements etc. My $.02 on this. If you are going to travel anyway, it is well worth your while to take a little bit of time to learn about using credit card sign up bonuses. For each card we sign up for, we expect AT LEAST $500-$1000 worth of travel rewards. The downside of this strategy is that the bulk of the value from the cards comes from the sign up bonus, which requires ongoing effort to open and close cards. My wife does hate having to switch our accounts around each time we sign up for a new card, but agrees it is well worth the effort a few times a year for the amount of value we get. YMMV. In my view, another downside to travel hacking is that those airline miles can end up being not nearly worth as much as you might think. For example, that flight from Chicago to San Francisco is 12.5k miles on United. Except, ugh, it’s at 6:40am. Too early? How about the flight at 10am? Great – but that’s 15k miles. Or, you can’t fly that day of the week? No problem. Except the flights on other days are either 15k or 21k miles. Or, you got a bunch of miles because you met the initial spend on the card and want to fly first class. Great. Sure beats cattle class, er, coach. Except United only lets you use miles for first class on 2 of the 9 flights it has going to SFO that day. And you need 45k miles for those flights. You get the point. Even though I earned several hundred thousand points with different airlines, I learned that the hassles and roadblocks they threw up to use those points just weren’t worth it. What you say is true to an extent, especially to readers bound to a schedule of traveling on weekends, peak seasons, etc. However, this is one of the benefits of having an early retired lifestyle in my mind. You have the mental bandwidth to find the right card to provide the benefits you need. You have the flexibility in schedule to leave a day sooner or stay a day longer or travel in shoulder seasons. By taking small actions like these, it is not unreasonable to save a couple thousand dollars a year in travel expenses by opening just 2-4 credit cards/year. I’m certainly not pushing the idea on anyone, and I don’t write about this topic (aside from my article Darrow linked) for the combo of 1.) there are many people with much more knowledge on the topic than me and 2.) I’m sure that for everyone that does what we do there are 5 doing it wrong and losing money to the CC companies. But if you’re willing to put in a little effort and are disciplined with using a CC, you can get an outsized benefit. I’ve had the Amazon card for about a year and really like it. I used it to purchase a new TV on Amazon I currently have about $200 worth of cash back waiting for me to use on an Amazon Purchase. I try and only shop on Amazon.com or locally at a Whole Foods to maximize the points. One thing that people forget is that you can also book home services through Amazon, like a cleaning service or a TV wall mounting. I get 5% cash back on all of those services now. Freezing/unfreezing has gotten much easier. Last week, I got the Amzn Prime card. I did not know which bureau their card-issuing partner (turned out to be Chase) would use, so I just went on each site and unfroze immediately and “refroze” a couple of days later. For me, that was easier than trying to find out which credit bureau the card issuer would use. You should have signed up for USAA Limited VISA before they closed the offer. All of who signed up have been grandfathered in. It pays 2.5% on every purchase unlimited and you can get your cashback as since as the purchase is posted. Great card. I do entertain travel hacking. Here’s what I have done recently. 1) Alaska airlines. Get 40k miles and a companion fare for $125 (inclusive of fees). We’re planning a trip this summer so both the wife and I are getting cards. We will spend $2k per card then stop using it and cancel at the end of the year to avoid annual fee. So airline ticket savings is roughly $200 x 2 (family of 4 travelling) and we get 80k miles for the 2 cards which will be used on a future trip (I’ll have enough if we add in my work trip miles). 3) Fidelity card with flat 2% on all purchases. Everything non-costco, restaurant or hotel goes there. No annual fee. 4) Capital One. $500 promo to open account and spend $2k (wife’s card). Spent it and then filed away card. No annual fee. Also did the same with my name (only $300 for me). They also offered a $200 promo to open an online savings account (they offer 2% interest). Did that as well (plus the wife separately) since it’s tied to the credit cards. Moved money out of account after dividend posted (45 days after deposit) back to Purepoint, that’s offering 2.35% (and is faster to raise rates as the market moves than competitors). Was all this worth the hassle? Maybe not but I’m pretty good at tracking this stuff and have collected the rewards without hitting any gotchas (still working through the Alaska one). I think all the tracking work ended up being more than $100/hr. Capital One does of 2% interest, but it is not on a savings account, it is on the Money Market account and requires a $10,000 minimum balance in order to qualify for that rate. Amazon Prime Card tip: Do not use your points for Amazon purchases. You get zero points for those purchases. Instead use the points to pay your balance or just get a check back and deposit it. Great tip, thanks! I’ve been doing it wrong for a couple years, hate to think how much that cost me. I’m with you…it’s all just too much work and too much potential for problems. I have a 2% cash back card with my existing investment brokerage, and that’s it. I value simplicity over almost anything else. Oh, and the Amazon store card (only good on Amazon) that gives 5% back on all Amazon purchases. That was close to a two-click setup so definitely worth it. I dabbled with travel hacking the last few years that DH was working. It was a lot of tracking and messing around, but worthwhile when our tax rate was at it’s highest. Now that we are both retired, not so worthwhile. It was interesting, and I’m satisfied it was worthwhile. But now I make sure my cash back is maxed out, and KISS. Paypal Mastercard from Synchony Bank is a flat 2% back on everything with no fees. Very easy to set up, and all rewards are sent to my Paypal account for spending or sending to my bank account. I make about 600 per year with no effort. I don’t spend much at Amazon as I found better prices with free shipping elsewhere. I am surprise you have not taken advantage of the new card that USAA offers for their members that offer a 2.5% cash back across the board. I am not sure of all the details, but I am sure if you call USAA they can fill you in. I think one of the requirements is you need a $1000 ACH deposit monthly. If you want to keep life simple this is the way to go. I have both the 1.5% and the 2.5%. You can also put a lock on the 1.5 card or the 2.5% and lift it when you want. All through USA this has worked great for me. I earn over 500 dollars a year thru the 2.5 card. Just saying check it out. Of course you have to be disciplined to always pay the balance. If you want more info please email me. I also avoid Travel Card hacking due to the added complications and administrative overhead. I do have several no annual fee rewards cards, each of which is the best for certain kinds of purchases. To keep this straight in my mind, and to remember where to use each card, I created a cheat sheet in Google Keep. Now that you have your Amazon credit card, take a look at Subscribe and Save. If you order 5 items, you get 15% off the price of each item! Its easy to come up with 5 items you need on a regular basis (Kleenex, TP, toothpaste, floss, vitamins, etc.). You can order them every month, every two months, etc. And Amazon sends you an email one week before your order ships so you can ‘skip’ an item, delete an item, or add an item. Bank-of-America has a “Cash Rewards VISA” card that monthly lets you choose/change the category that earns 3% (choose categories: Gas, Travel, Dining, On-line purchases, Drug store, Home Improvement/furnishings). So if you plan to travel, just change the category to “Travel” and your purchases earn 3%, etc. The card is fixed to also give a default 2% at grocery stores and wholesale clubs, and 1% all else. You can even set it to automatically roll redeemable rewards to your bank account each month. The card is free. Regarding Freezing your credit, they’ve come a long way since your 2013 article. You may now freeze your credit for 1-year (put a minder in your calendar to do it again 12 months later). You can now provide a phone#; if credit is requested during this period they simply call the number and a few ask personal history questions and questions about your purchase that you’d only know to verify your identity. It worked quite well when I purchased my car with a 0% dealer loan while my credit was “frozen”. Visit https://www.experian.com/fraud/center.html and click “Add Fraud Alert” / “Temporary Fraud Alert (1-Year)”, then scroll down to the section “Add a fraud alert using your personal information”. This is reported to all three agencies automatically. Thanks for the tip and link Karl. The best benefit from card rebates is the satisfaction in getting paid back for the few really dumb purchases I made during the year. I’m getting bailed out! Another great card is the AARP Chase Visa. 3% cash back on restaurants and gas. I did have to smile as I read through the comments – so many ideas, so many different perspectives. “Personal” finance, for sure! Thanks for the great post Darrow. I followed the link to the old article on financial simplicity. Right then and there I pulled out my stack of credit cards that I accumulated over the years. I got on the phone and cancelled all but the two I actually use. Great feeling! Thanks for the comment Peter. I’m manning the comments b/c Darrow is out of touch for a few days, practicing the simple life that he preaches. I’m sure he’ll get a big smile when he returns and reads this! I agree with you about valuing financial simplicity. Like some of your other readers, I use the Fidelity Rewards Visa Signature card (2% on everything) and direct all the points into FSKAX, so it becomes a kind of “forced” long term savings. Already had an investment relationship with Fidelity for about 34 years. Really interesting post. As someone who is just starting their debt repayment journey I’m not sure I could trust my self with a cashback card at the moment! Certainly something to consider further down the line however. Thanks for taking the time to comment and share where you are in your journey. It helps us to know who we’re writing to and the struggles you’re facing. While Darrow uses cash back cards and I dabble in using cards for travel rewards, I feel very comfortable speaking for both of us in saying good for you to know yourself and pick and choose what works for you rather than following what either of us or anyone else does. I was very disappointed to see this post and its contents. Rather than promoting the use of CCs, you should be promoting a path to debt free retirement. Depending on where you look, about 65% of those with cards do not pay of their balances each month. At an average interest rate of 15%, its easy to see why the CC companies are offering 1 or 2% cash back to lure people into debt. Why would you be disappointed to see a post about how to maximize your rewards and make money? I’ve been using rewards cards for over 20 years, in that time I’ve never paid $1 in interest or late fees. Back in the day (early 2000’s) when interest rates on savings account where reasonable and banks would let you ACH your entire credit line from a credit card into your checking account, I use to carry 500k+ balances across 20+ cards, all at 0% interest. All that 0% money the bank(s) were happy to loan me sat for years in my various FDIC insured savings accounts making 4%-6% interest (boy do I miss those days) as I rolled over card to card (Chase->Citi->BoA->etc) every 12-18 months. What did I do with that extra $30k per year? I paid off the mortgage on my house when I was in my early 30’s. I’ve been living without a mortgage the last 14 years or so. What have I done with my mortgage payment the last 14 years? Simple, each month it has gone into my brokerage account. Want to guess how much farther along I am in FIRE now then I would of been if I hadn’t done that. Credit is a tool, don’t blame the tool if you get hurt because you didn’t bother to read the user guide.